Sabrina Riccio (Shiv Inder Kaur) is breaking the mold when it comes to being a leader in today’s day and age. As a New Earth Business Consultant, Modern Medicine Priestess, and Empowerment Speaker, her mission is to revolutionize humanity by catalyzing Spiritual Entrepreneurs to embrace all facets of their hue-man experience in order to unleash their medicine + activate their legacy. Sabrina has spoken and taught Kundalini Yoga + Meditation around the world. Amongst her colleagues and listeners of her chart-topping Sovereign Society Podcast, she’s known to keep it real and authentic through storytelling, deep wisdom and her infectious laugh that keeps spirits elevated and alive. After being struck by lightning in 2012 and navigating through 20+ years of trauma + prolonged depression, she lives by the truth that life is always happening for us, not to us. As a result, she’s created a movement for people to be the light they wish to see in the world in order to build the business and life that sets their soul on fire. Currently, she is writing her first book, Radiate Your Radness, a 40-day Soul Activation to Thrive and Align from the ground- up and from the inside-Out. She’s passionate about travel, spiritual activism, psychedelics, #realtalk conversations, fish tacos, and her dog Bud. When she’s not in her home in Joshua Tree or San Diego, CA, you can find this global citizen traveling the world on a wild and soul expanding adventure. You can discover more of Sabrina’s medicine by visiting SabrinaRiccio.com. Leave me a message + I'll get back to you. let's get together, yeah. yeah. yeah. LOOKING FORWARD TO HEAR FROM YOU + CREATING SOMETHING BEAUTIFUL TOGETHER! Thank you! I'll get back to you within 2-3 business days. 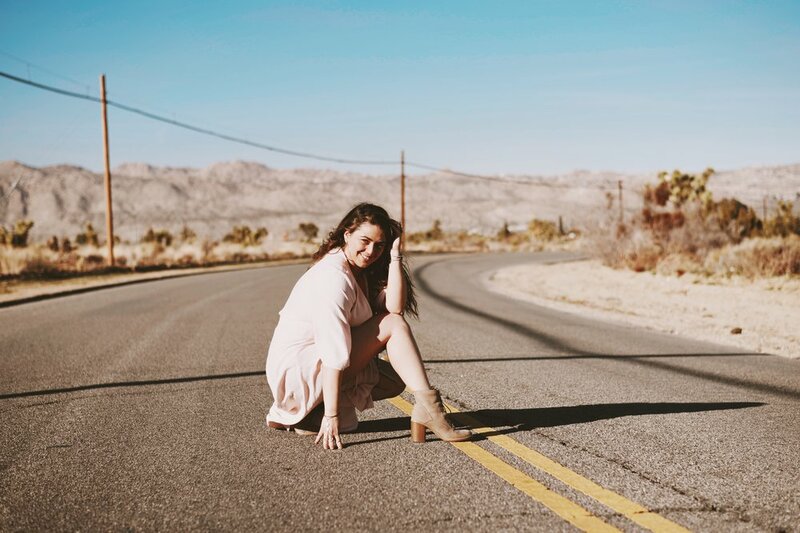 Sabrina Riccio is an Aquarian Priestess, catalyzing and anchoring a conscious paradigm shift centered in authenticity, bravery, vulnerability, and conscious empowerment. Sabrina’s work empowers souls to reclaim their power by being real, being authentic, and embracing their most vulnerable selves. Offering practical + efficient tools to navigate through the paradigm shift humanity’s experiencing during these times, her dharma is to help transcend negativity and generate a new world by embracing God’s light through Divine Consciousness. Growing up in the desert as a young girl, Sabrina’s had a deep connection to the esoteric and spiritual worlds. Keeping it in the family, music was always her refuge and once she graduated from Chapman University, she followed her bliss and became a music journalist with her company peace love EDM. Driven to spread the love, one beat at a time, she wholeheartedly embraced the magic within the music festival community, passionately showcasing the beauty of the people from around the world. Helping her conquer her battle with prolonged depression, it wasn’t until she began embracing the spiritual connection through psychedelics + practicing yoga that Sabrina truly embarked on a spiritual journey that would forever change her life. Experiencing both the euphoric and difficult experiences that come working with psychedelics, she heard the call to reevaluate her life’s purpose and embarked on a journey of a lifetime. During her four-year sabbatical after a difficult psychedelic experience + an encounter of being struck by lightning, Sabrina traveled to distant and unfamiliar places to discover her soul’s truth. Sabrina dove deep into self-study on a mission to transcend mental illness as well as learning about the world’s religions all while discovering various spiritual teachings, teachers, and ancient healing modalities. Following her intuition to backpack through Thailand, Sabrina dove deeper into the Spiritual Arts, becoming a certified life-coach, a Kundalini yoga teacher, and a Modern Medicine Woman. The greatest opportunity came once she visited Brazil to see the Spiritual Healer known as John of God. Blessed to become a Daughter of the Casa, she found herself more in alignment with how to best serve humanity and God, co-creating a new world by embracing Divinity through the sacred reunion of the Divine Masculine and Divine Feminine. She’s been called to help guide others to discover, honor, and love their authentic truth - recognizing that every step of this journey is important. Today, Sabrina is a Soulistic Business Consultant who helps Modern Mystics activate their legacy + unleash their medicine with the world. She believes each of us are capable of building the business and life that can move mountains and implement great change on the planet. As a speaker and spiritual teacher, her passion to educate and support creatives who are ready share their medicine with the world has been her driving force to witness a more vulnerable and authentic world. She is the host of the Sovereign Society Podcast, featuring authentic conversations with medicine women, cosmic dudes and progressive revolutionists alike to empower others to honor the journey, trust the process, and recognize that we are all capable of living a life beyond our wildest dreams. She can also be found at transformational festivals around the world as a Medicine Priestess teaching psychonauts and spiritual seekers alike the gift of Kundalini Yoga, spiritual + #realtalk wisdom, + Sound Medicine. As a soulistic alchemist, Sabrina has also produced Shamanic Dream, a high-vibrational line of intentional smokeless smudge sprays to support others to live in ceremony. Her passion for ritual and living with intention continues to inspire her to share with the masses practical and useful tools to live with grace. You can find more about Sabrina by following her daily posts on Instagram @SabrinaRiccio and learn more about her medicine at SabrinaRiccio.com. SHAMANIC BREATH-WORK. SOUND HEALING < 432 HZ >. PUBLIC SPEAKING. KUNDALINI YOGA + MEDITATION. SPIRITUAL MENTORING IN SOULISTIC LIVING < BUSINESS + SPIRIT + HEALTH + LIFE >. MEDICINE SESSIONS. HOLISTIC PRACTITIONER. WORKSHOP FACILITATOR. SPIRITUAL NAME // SHIV INDER KAUR | the sacred Lioness whose divine consciousness transcends negativity and generates new life by embracing God’s Light. GLOBAL CITIZEN // THAILAND, BALI. LAOS. BRAZIL. GRAND CAYMANS. MEXICO. ITALY. BAHAMAS. COSTA RICA.